Prof Anġlu Psaila, one of the best-known veterans of the medical profession, has passed away. His demise was announced by Health Minister Chris Fearne who in a tweet saluted 'a mentor, a colleague and a friend'. Professor Psaila, 81, qualified MD in 1961 and was a Fellow of three Royal Colleges of Physicians in the UK. He spent 35 years teaching medical students and for many years was head of the Department of Medicine at the University of Malta and Director of Medicine at St Luke's Hospital. He retired in 2005. RIP Prof Anglu Psaila: A mentor, a colleague and, a friend. Whole generations of patients and medical students owe you a debt of gratitude. Prof. Psaila was a household name, achieving popularity through his contributions on health issues on radio and television. 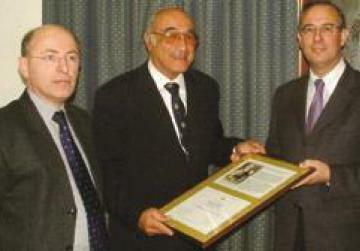 He unsuccessfully contested two general elections as a Labour Party candidate and was given a Gieħ ir-Repubblika medal in recognition of his services to the medical sector. The Labour Party expressed its condolences and praised Prof. Psaila for his contribution to the medical sector, broadcasting and politics. The Nationalist Party also offered Prof. Psaila's family its condolences. It recalled how apart from his medical contributions, Prof. Psaila also had a keen interest in football and tennis.